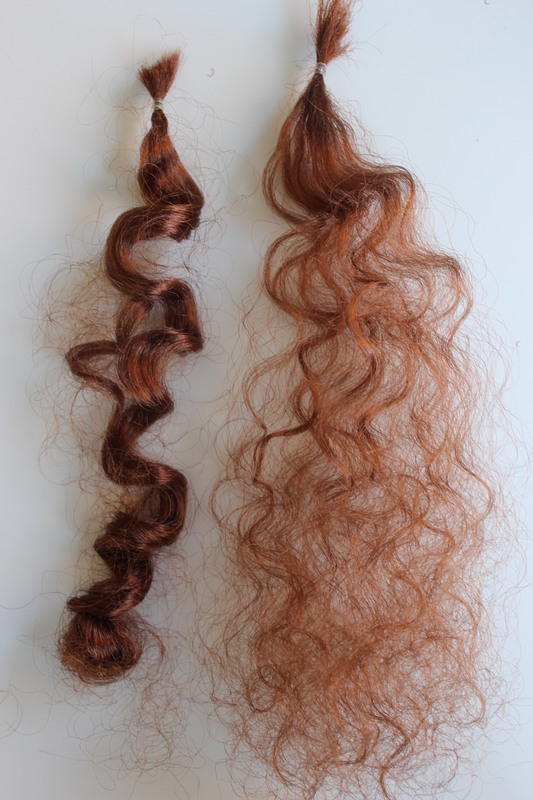 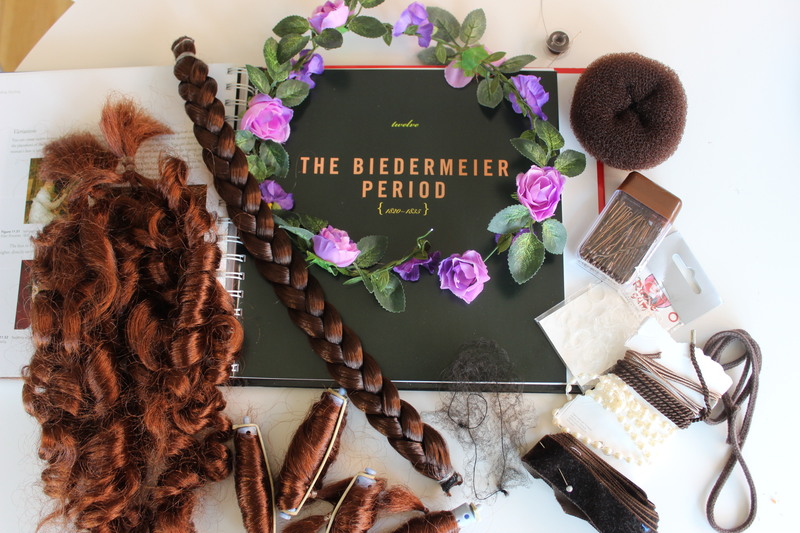 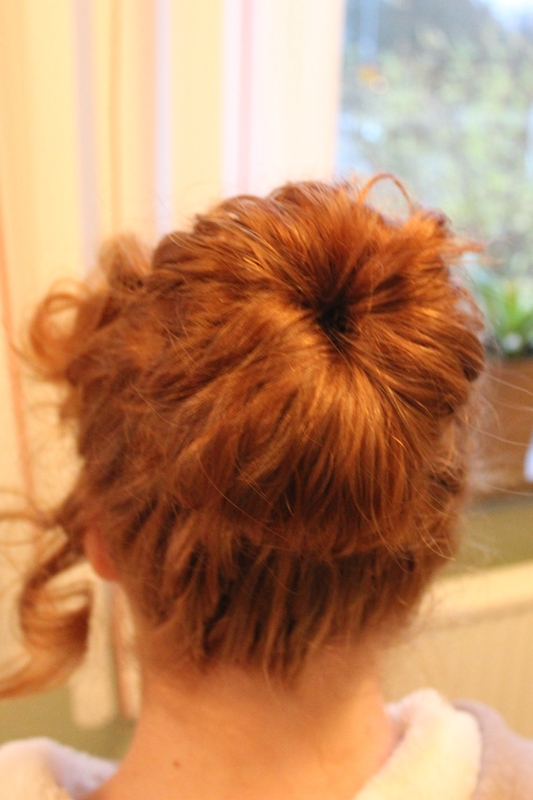 I’d be the first to admit that I know nothing about hair – My own are really short and don’t need much attentions, and when I had long hair a couple of years ago, I just wore it in a ponytail or bun. 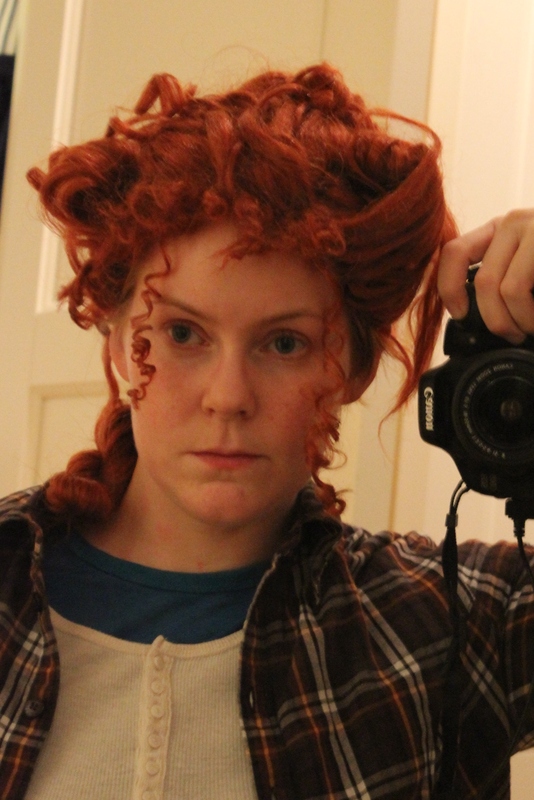 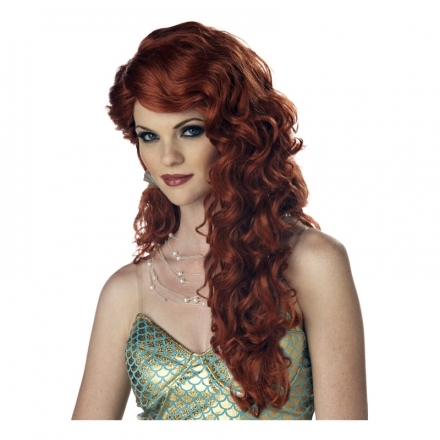 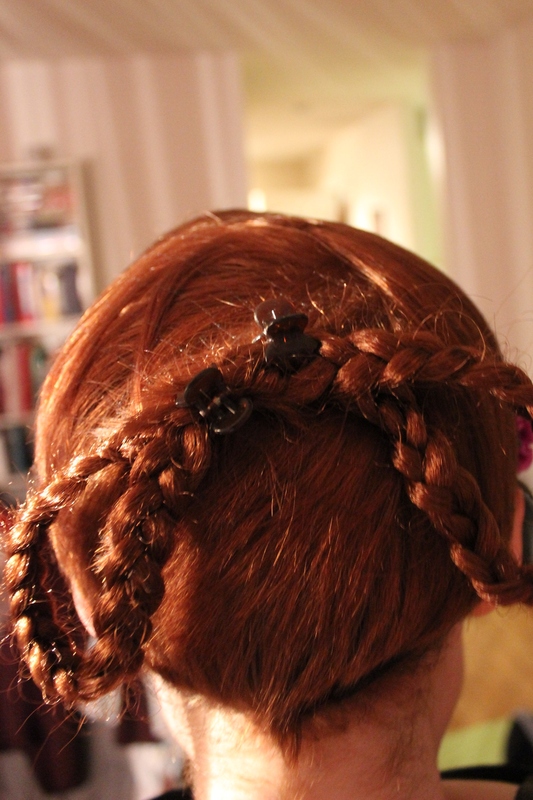 But with great costumes comes great hair styles… or something like that. 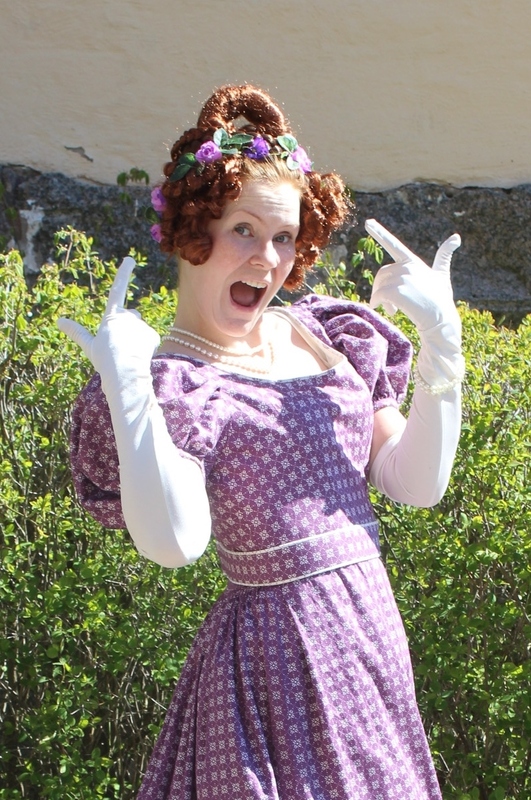 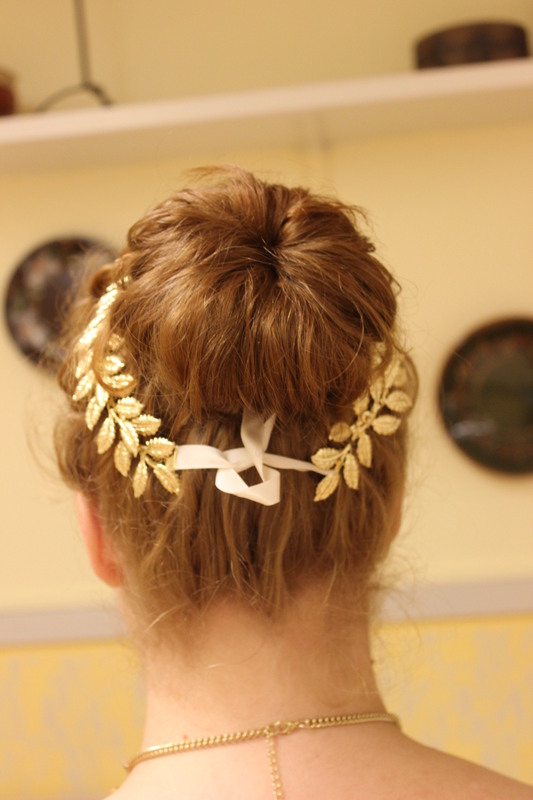 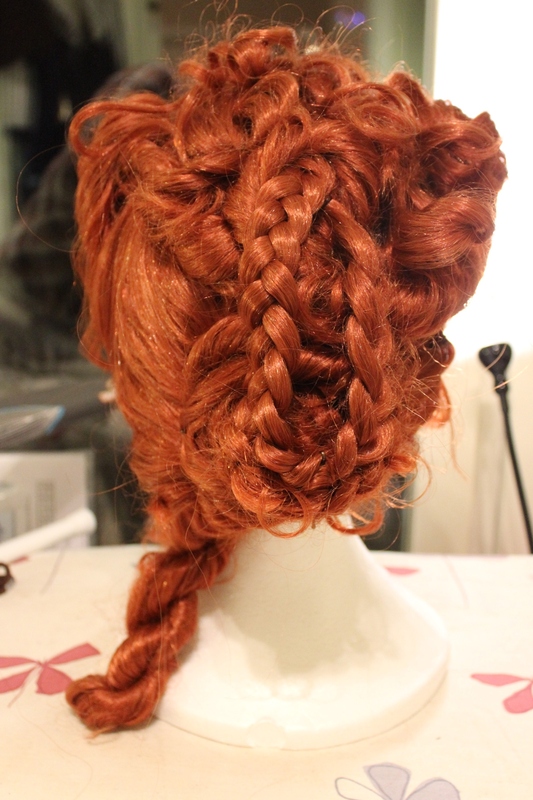 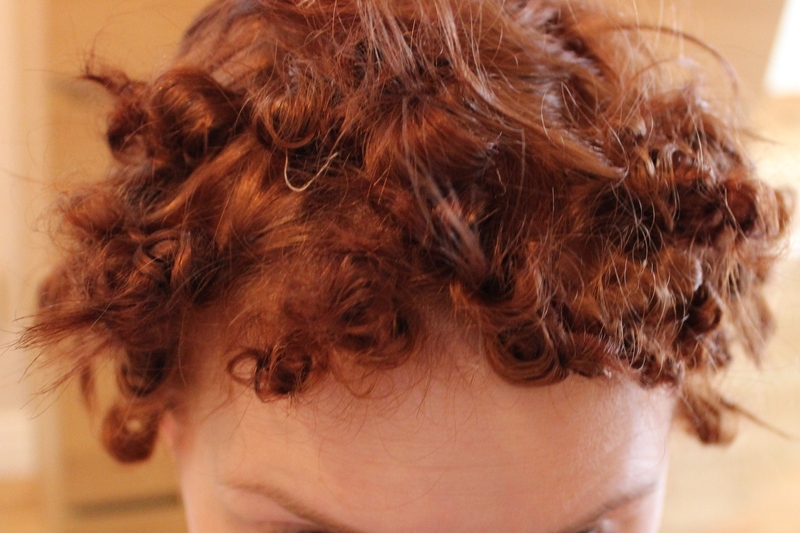 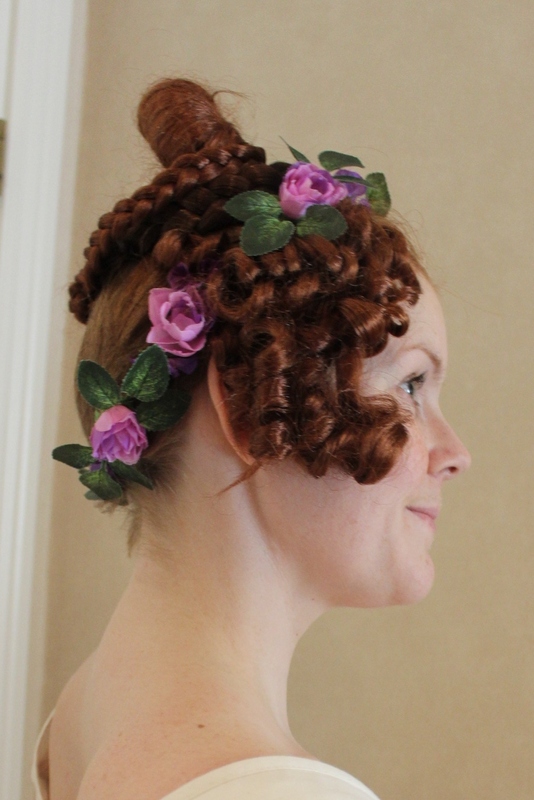 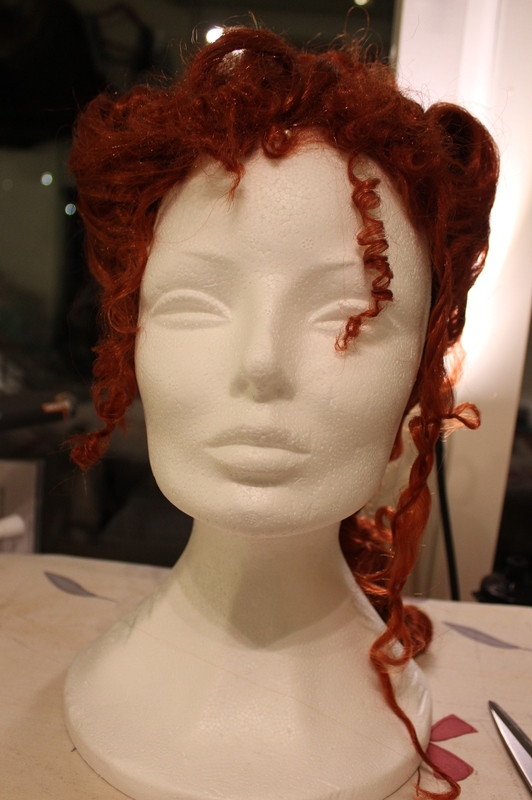 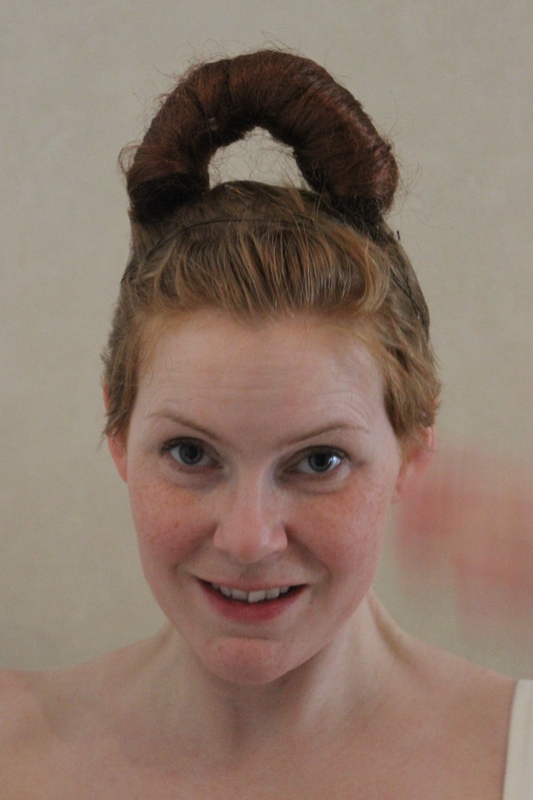 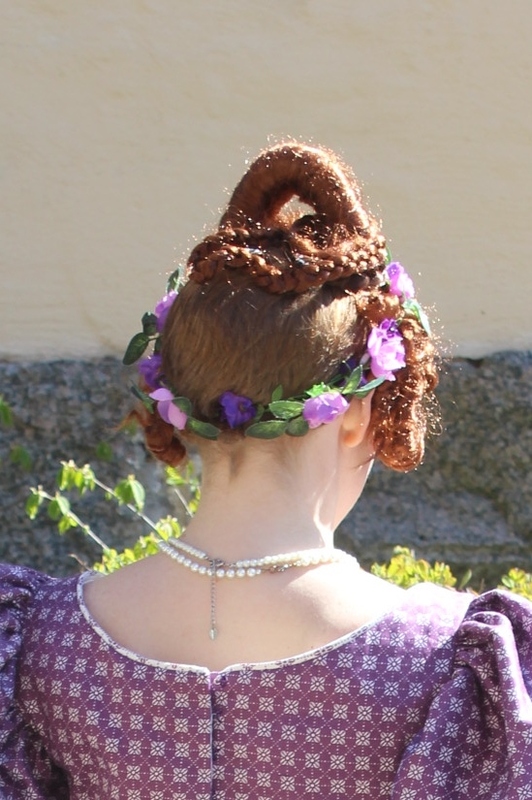 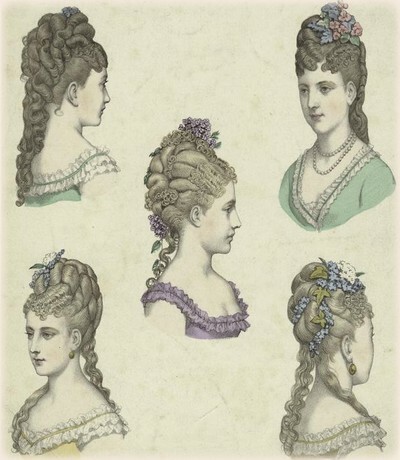 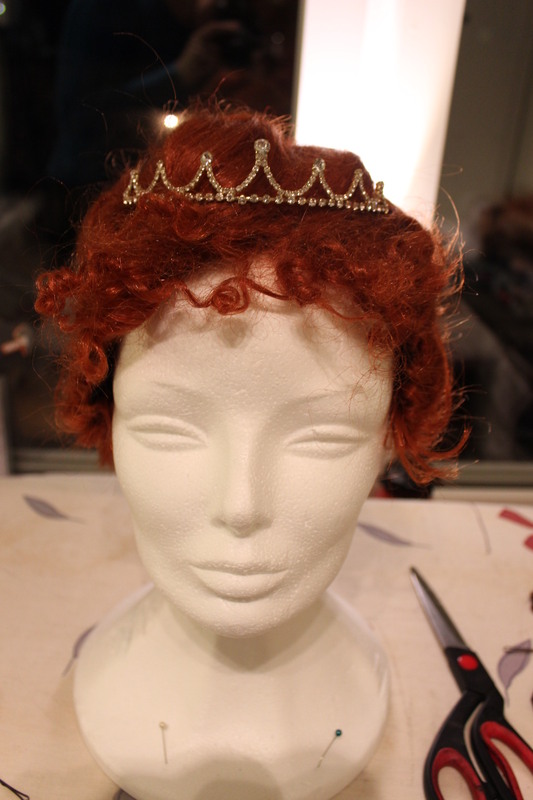 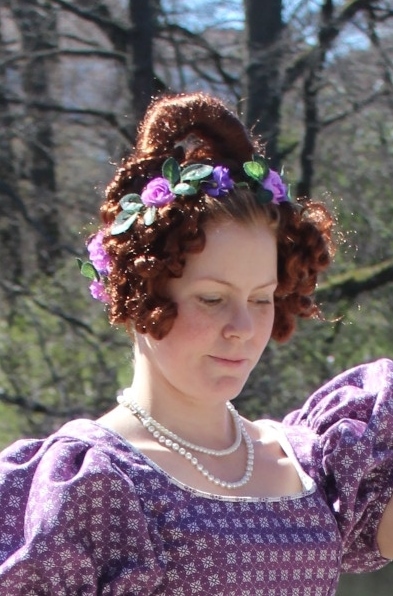 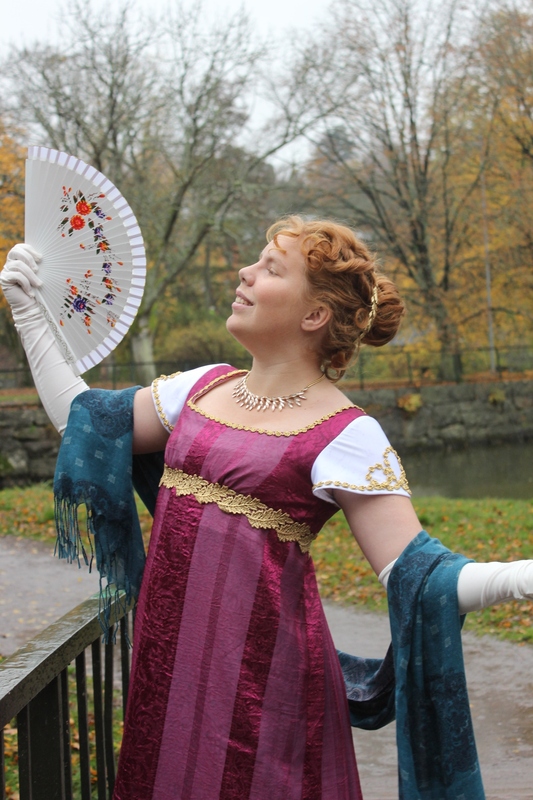 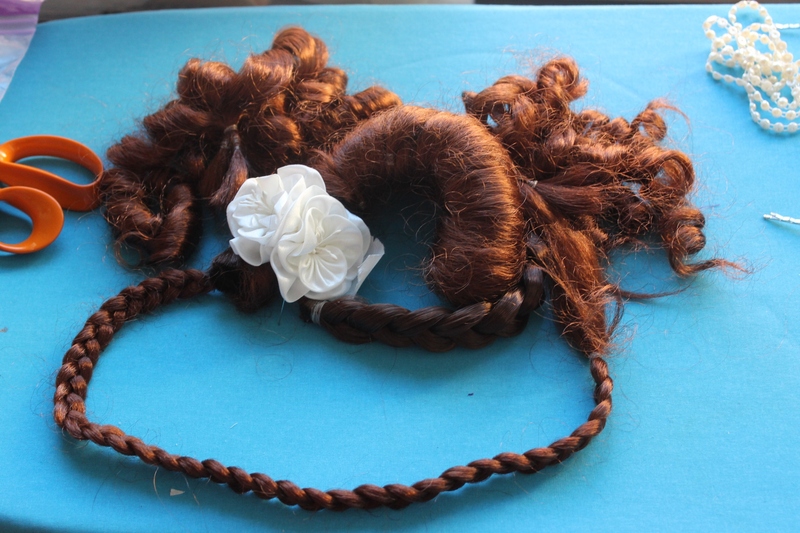 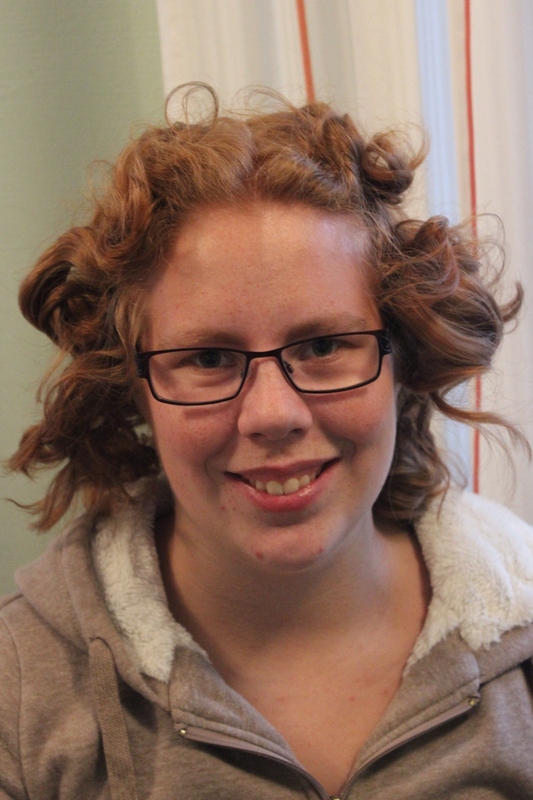 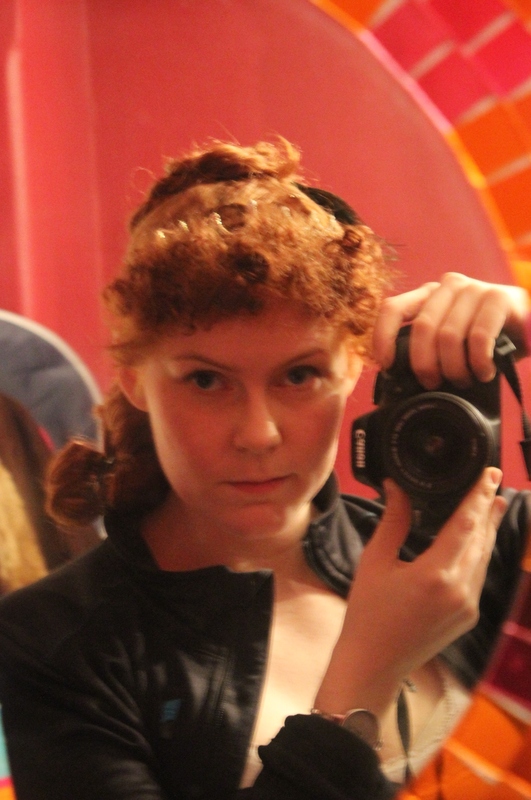 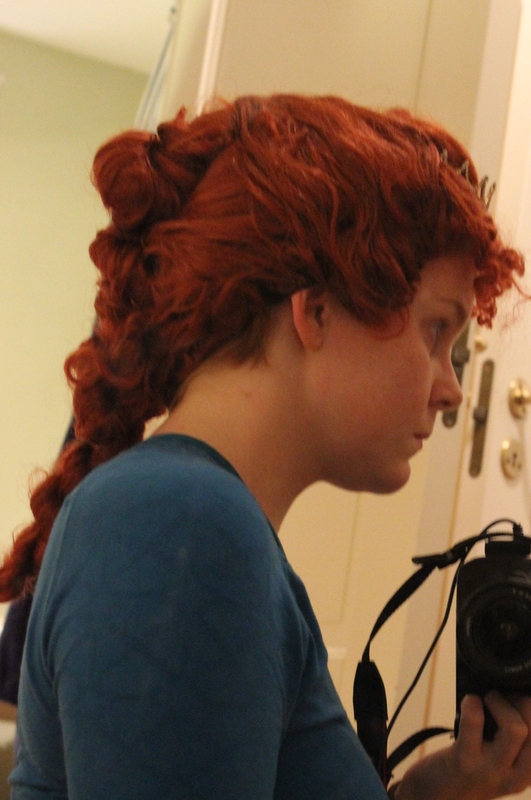 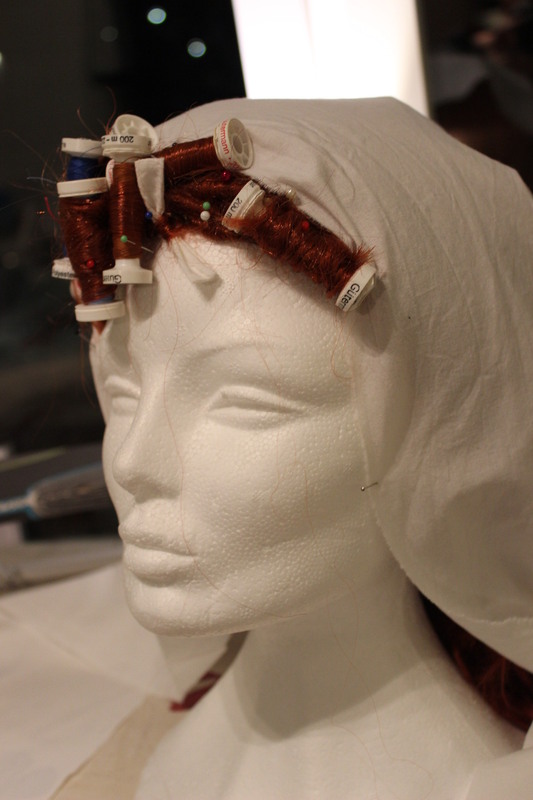 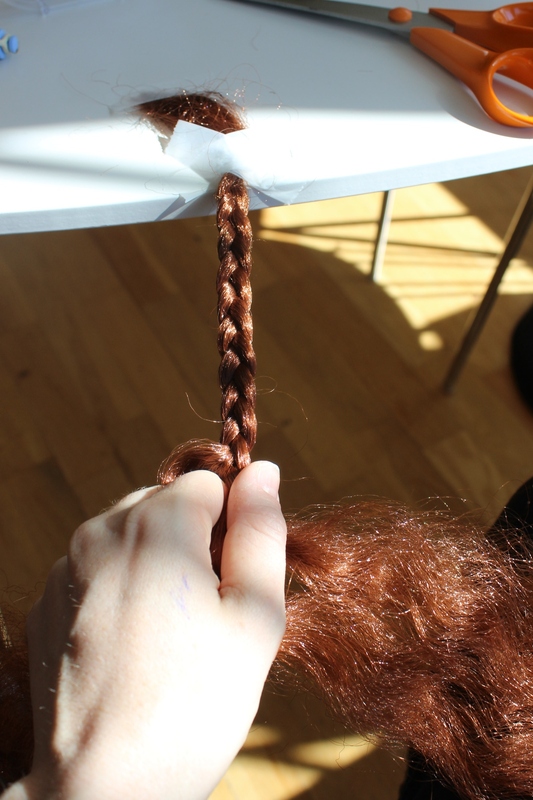 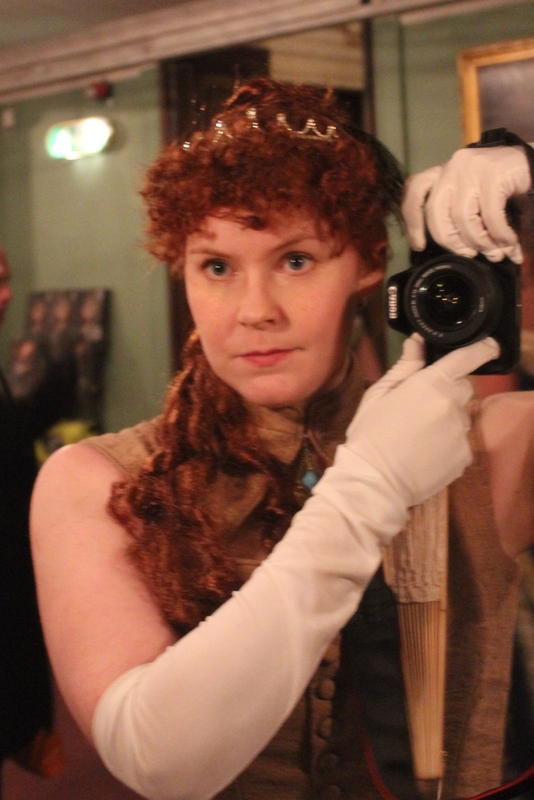 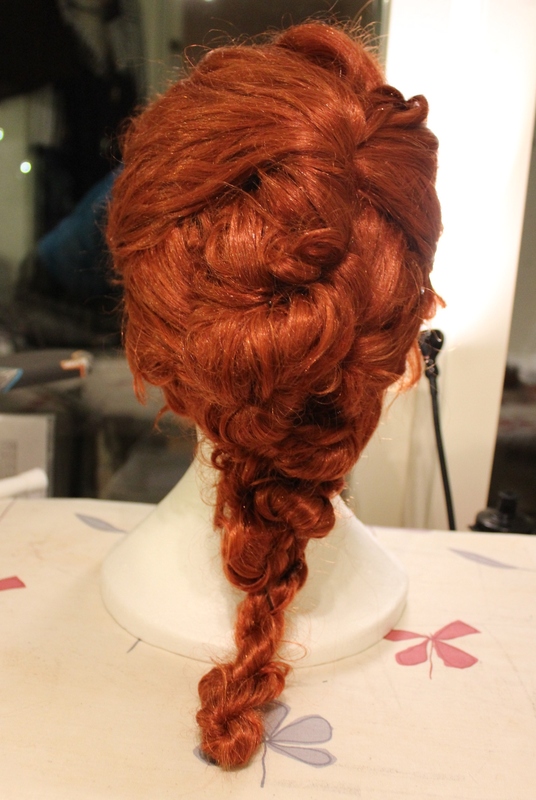 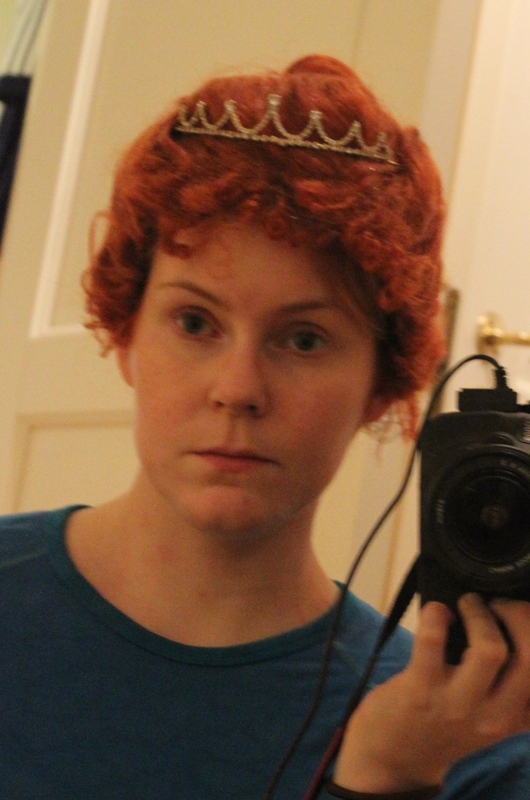 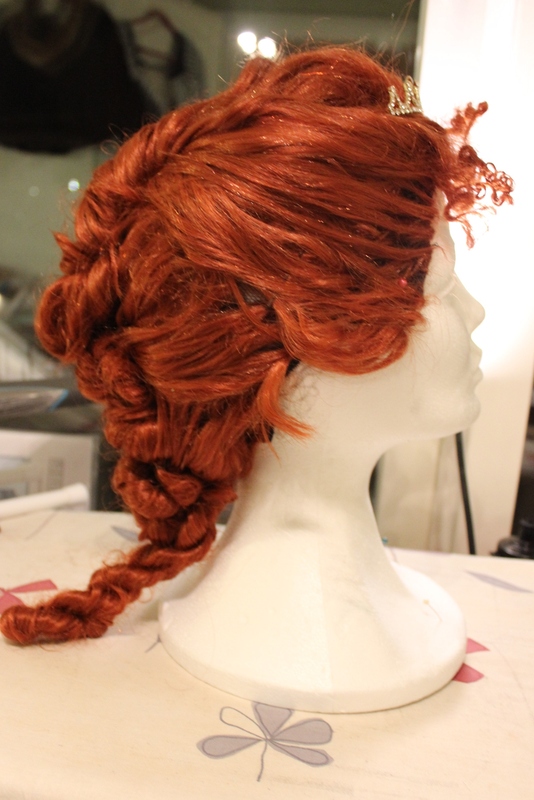 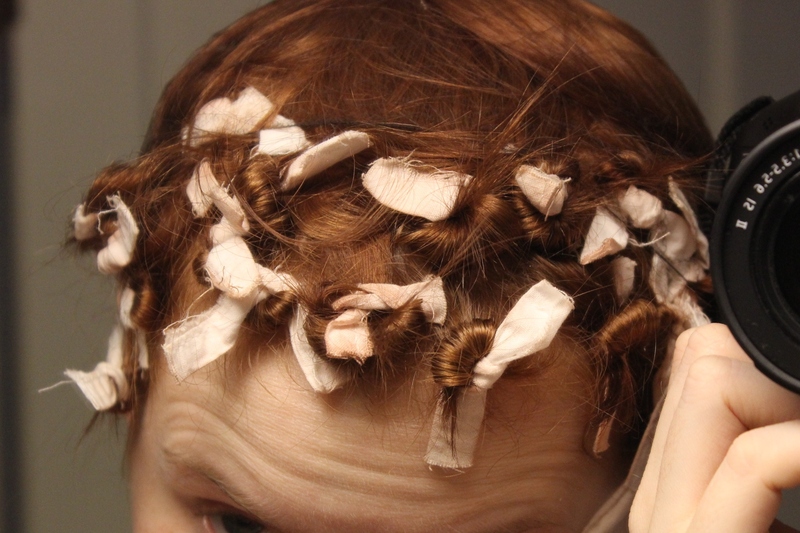 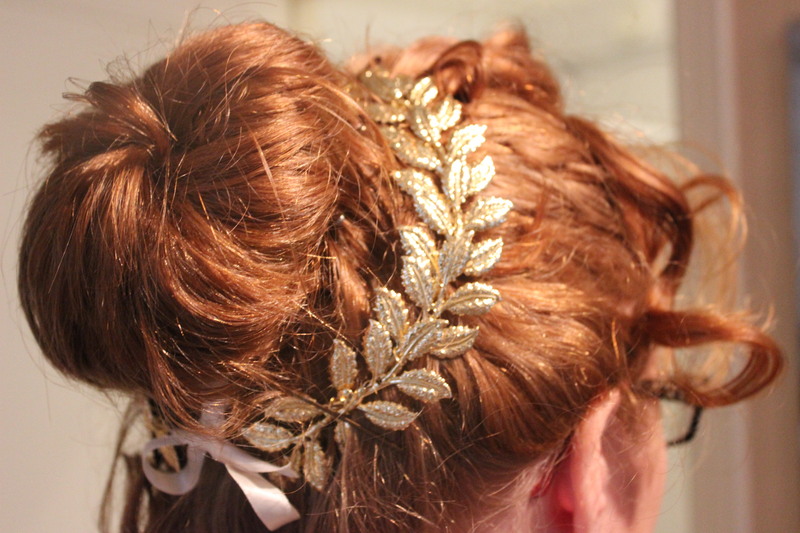 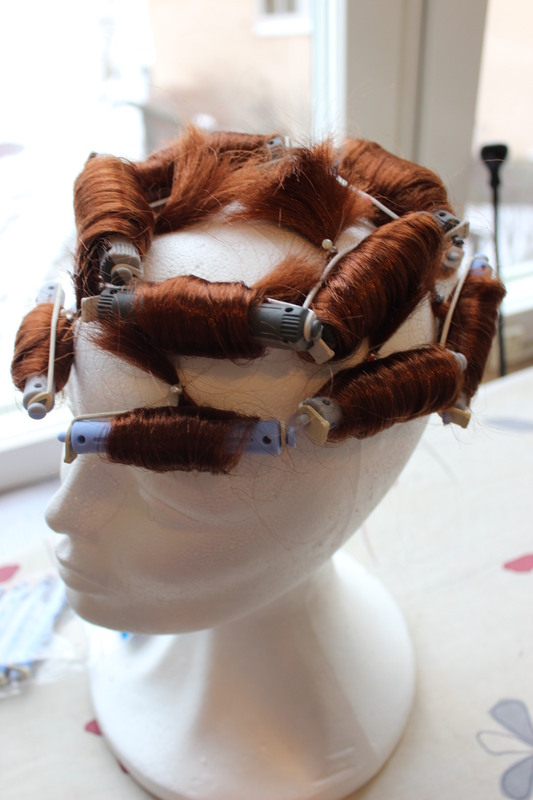 So today I will show you the hairstyle I did on my sister for the Regency ball. 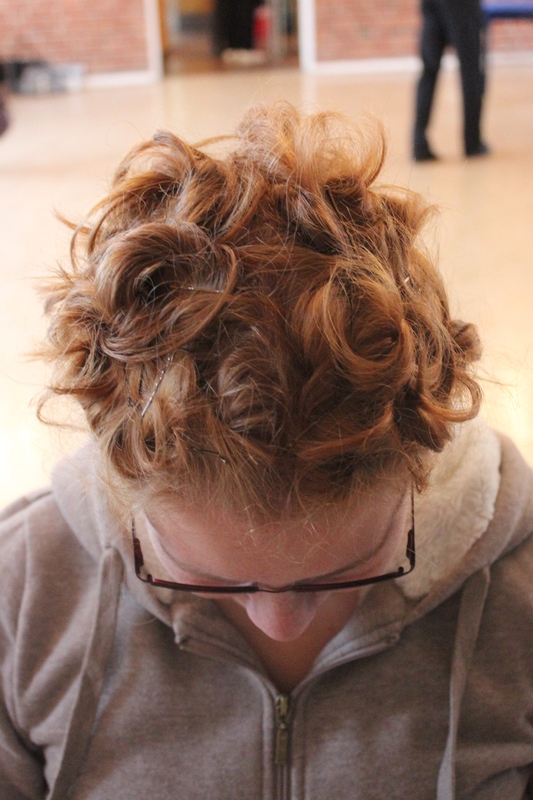 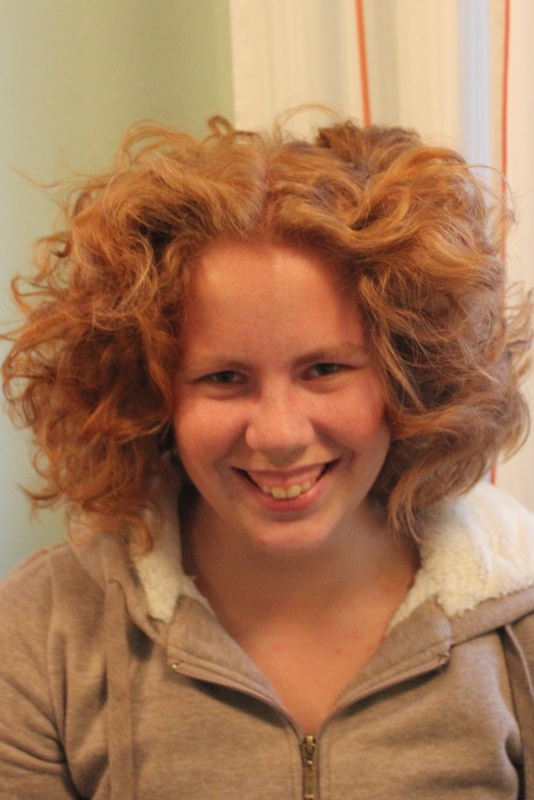 The day before the ball she pinned her hair up in curlers while still wet, and then slept on it. 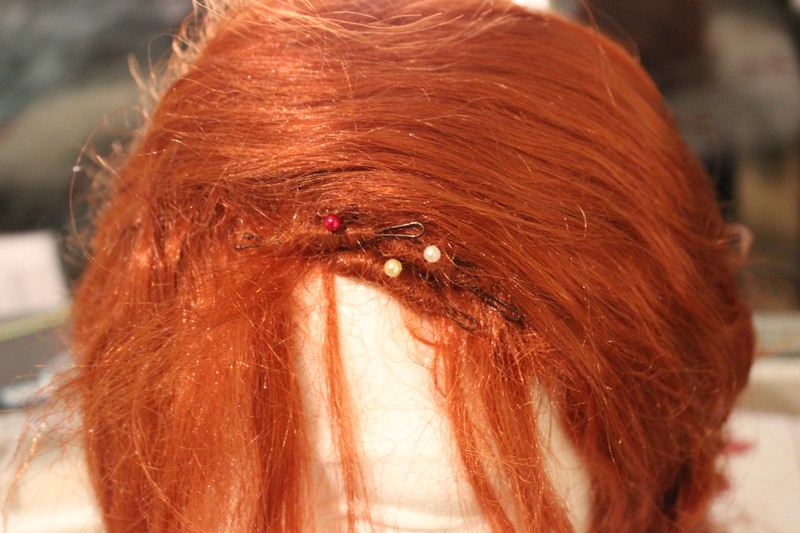 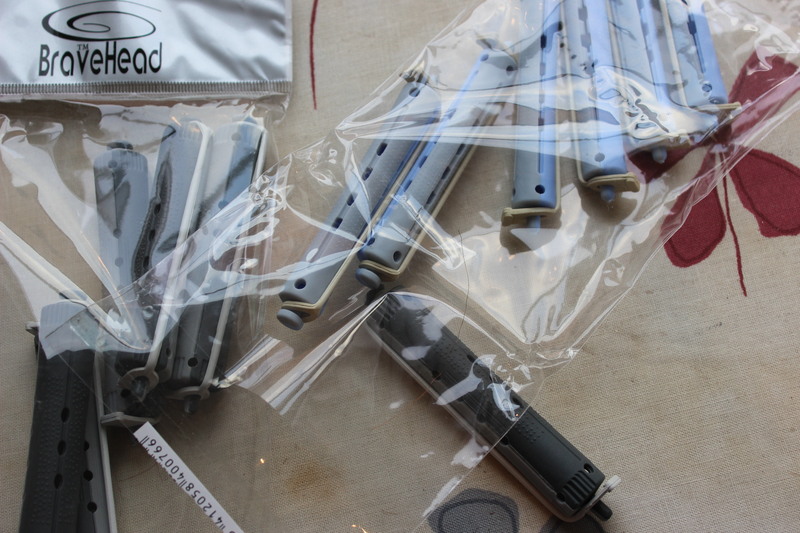 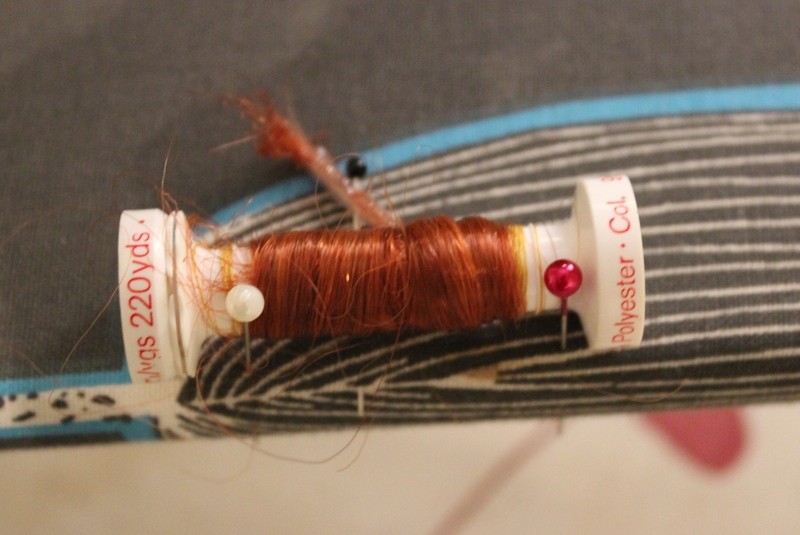 The first thing to do was to remove all the hair pins. 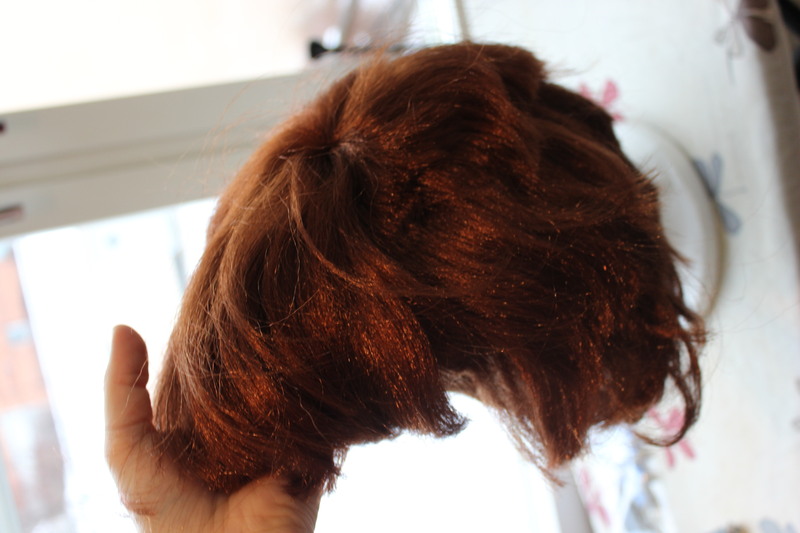 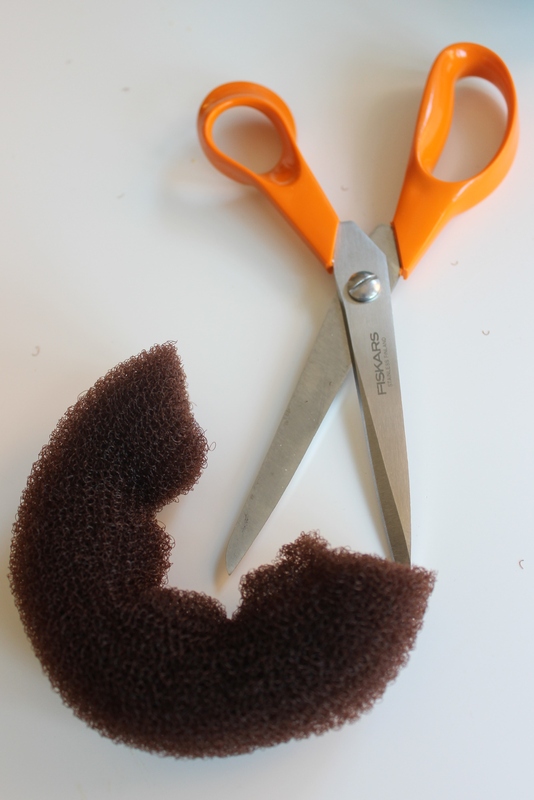 And shake the hair out, using the fingers to get it really big and fluffy. 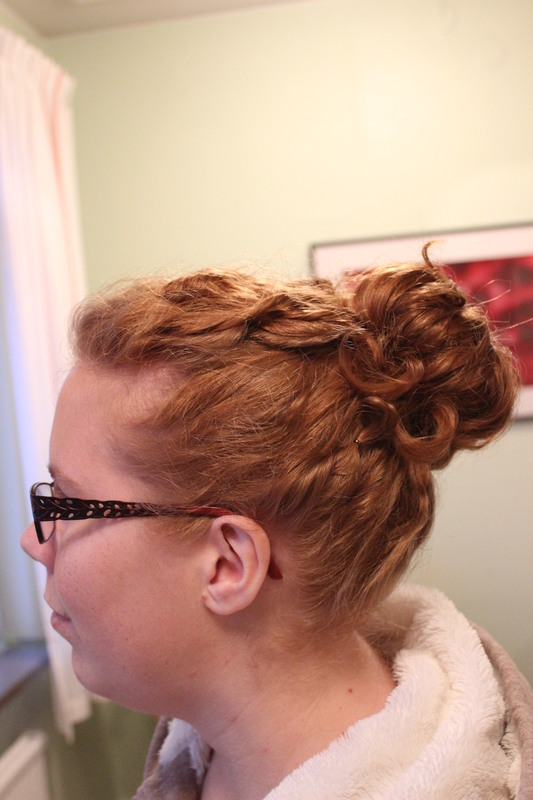 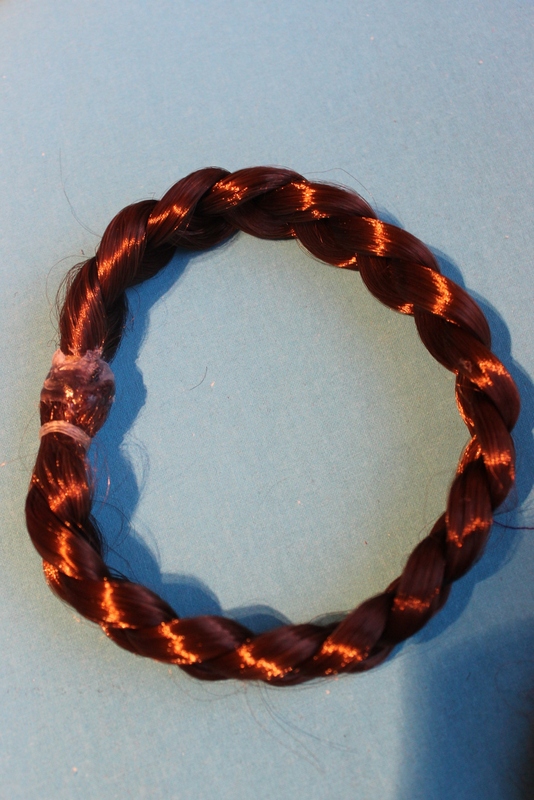 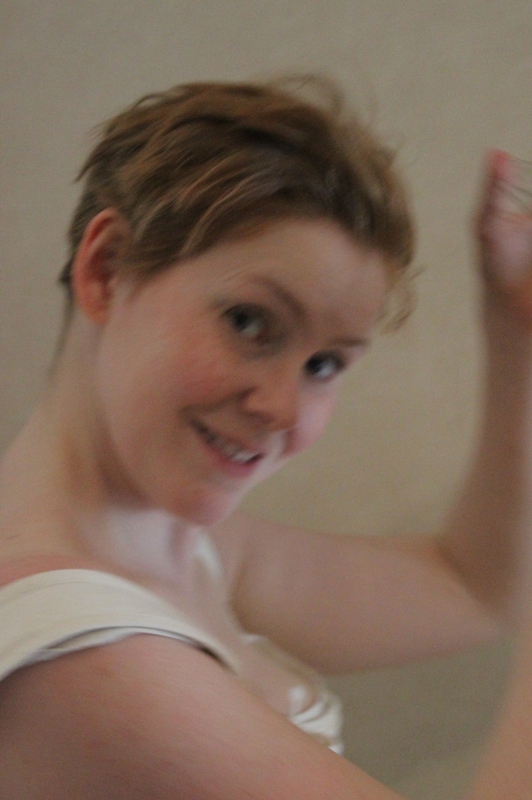 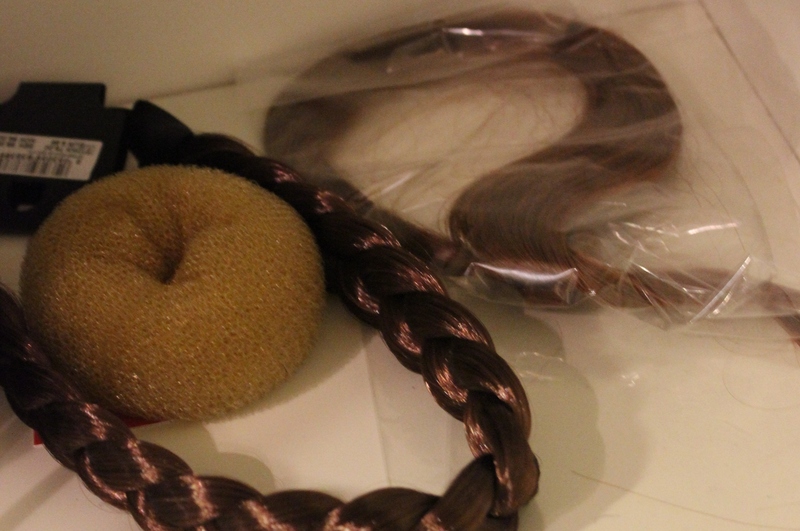 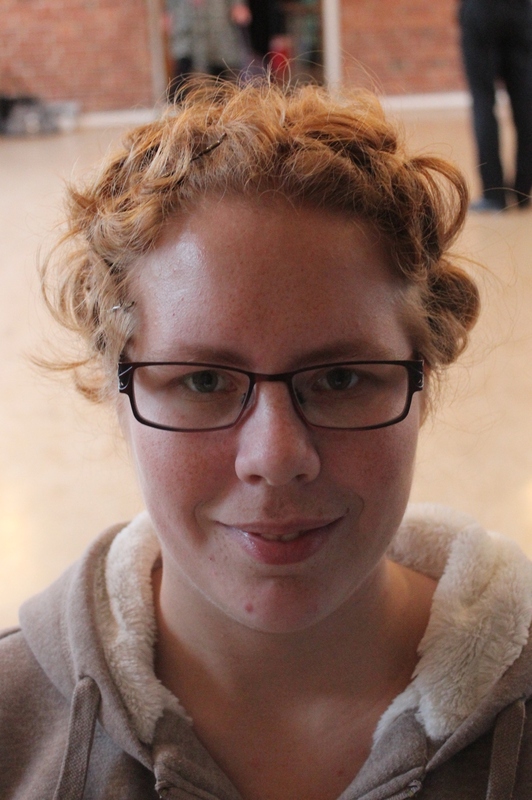 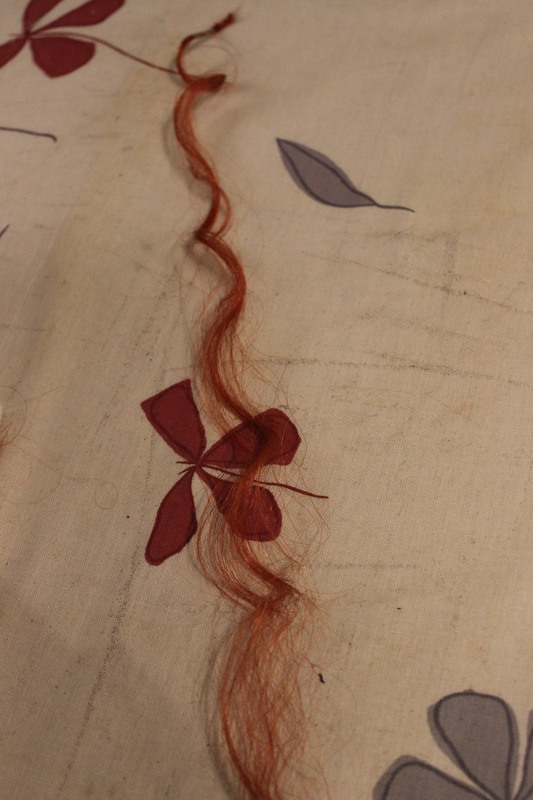 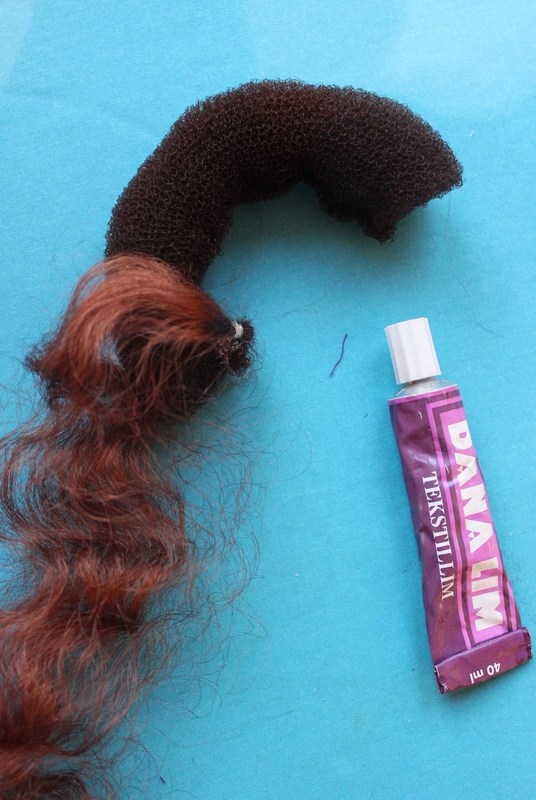 Then I gathered most of the hair in a ponytail, leaving some hanging in the front. 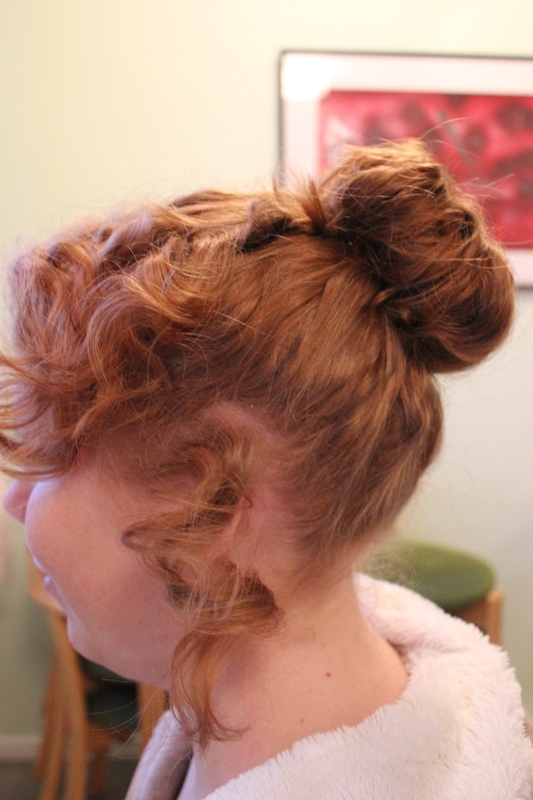 Using the ponytail as a base I attached a hair doughnut to add some volume and structure to the do. 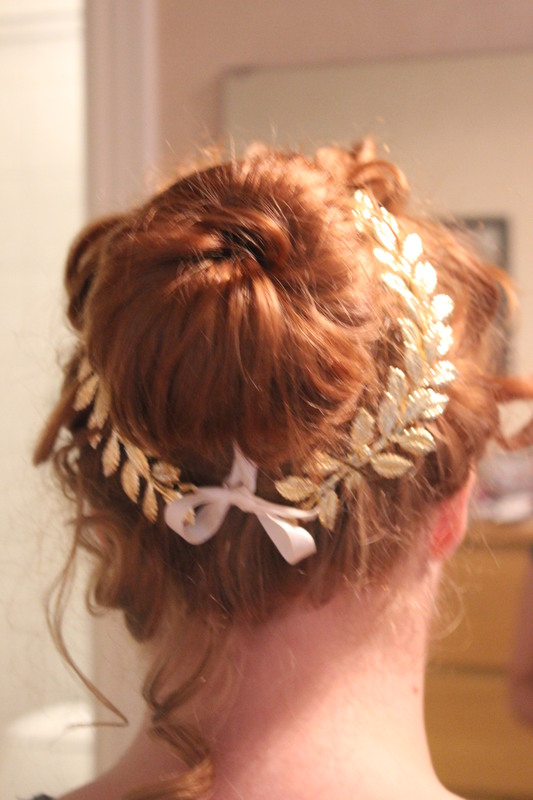 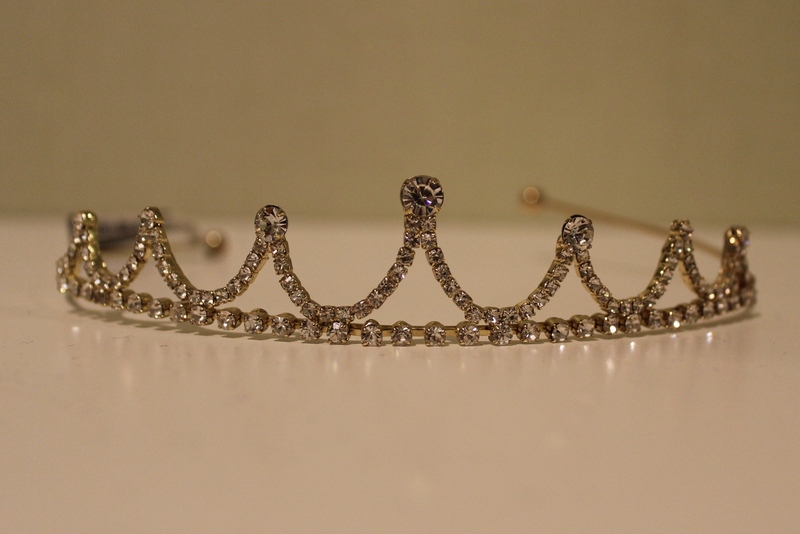 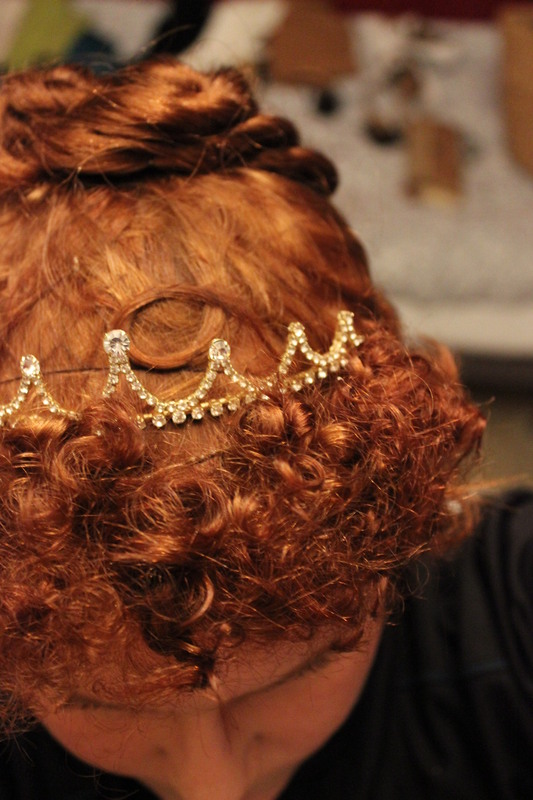 Lastly I added the golden headband and secured it with some boby-pins. 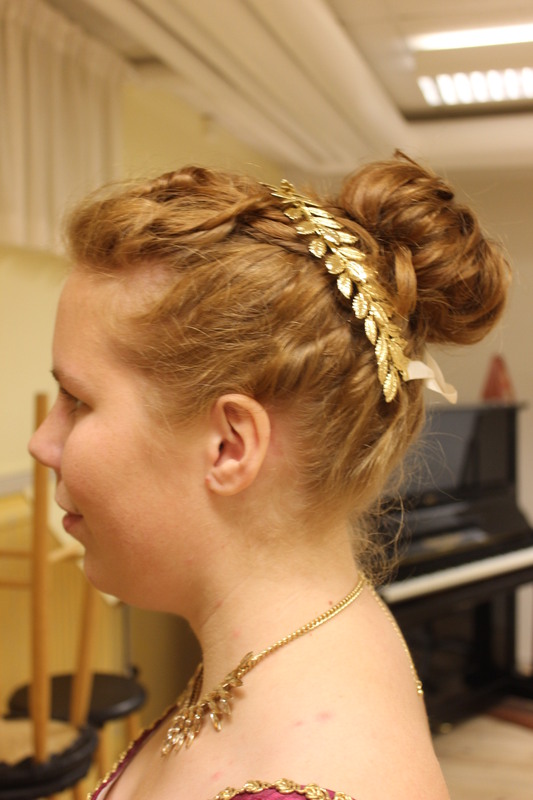 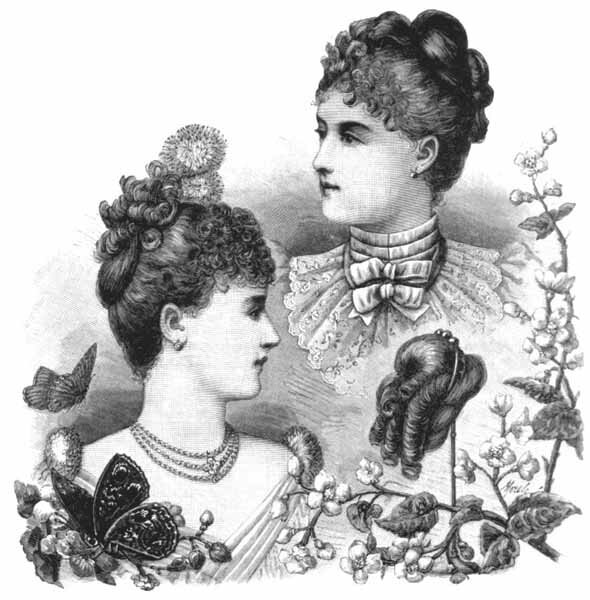 The finished hairdo at the ball. 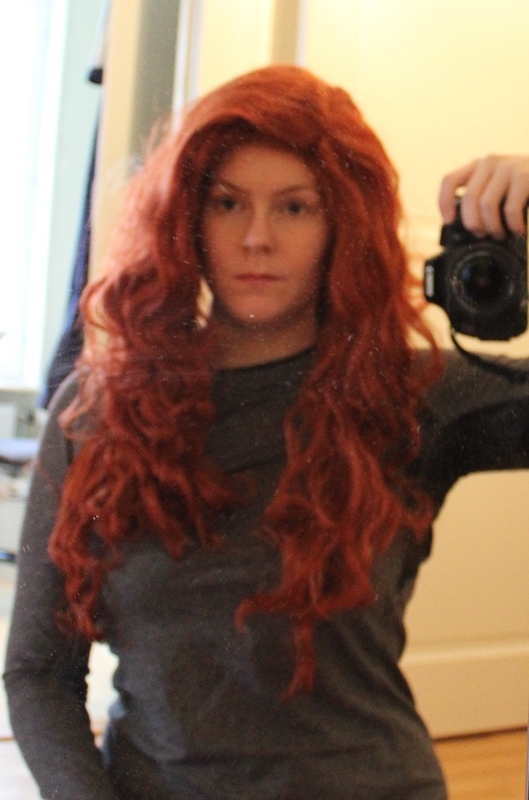 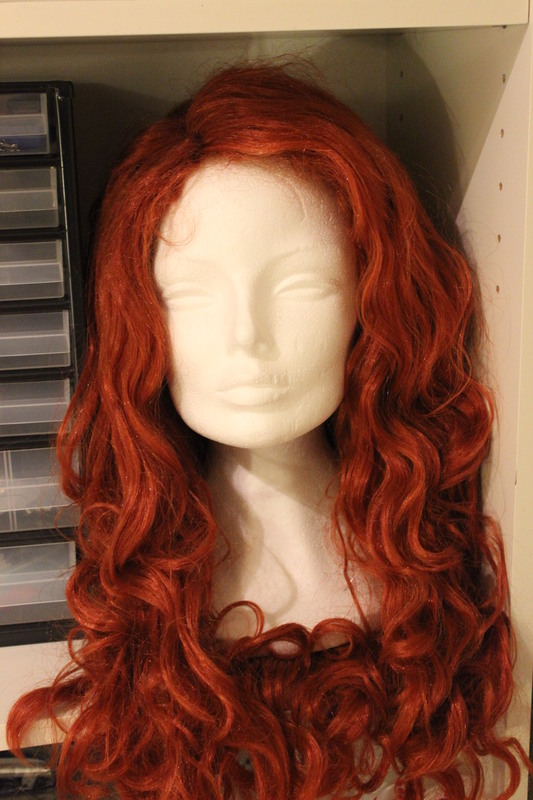 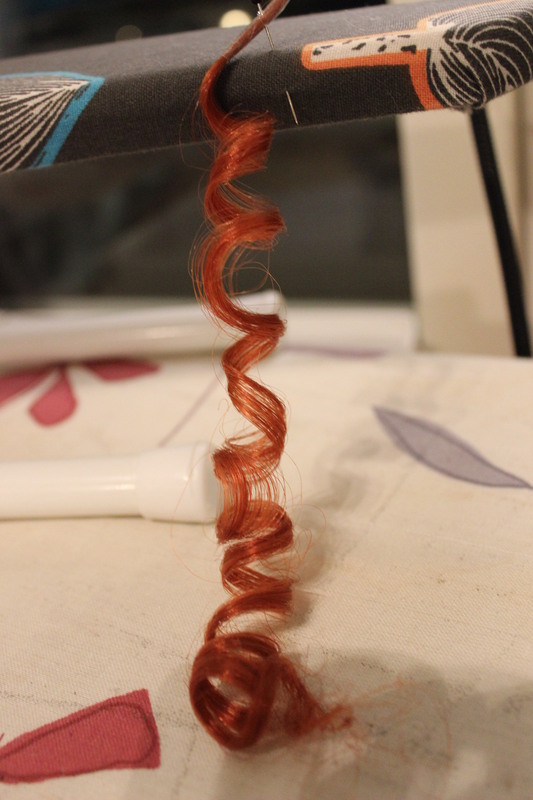 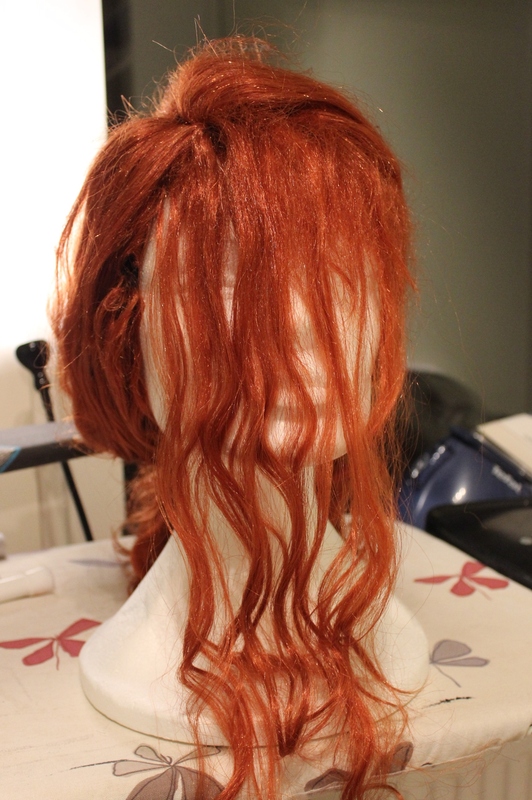 I could also have left some of the front hair curls hanging to get another effect. 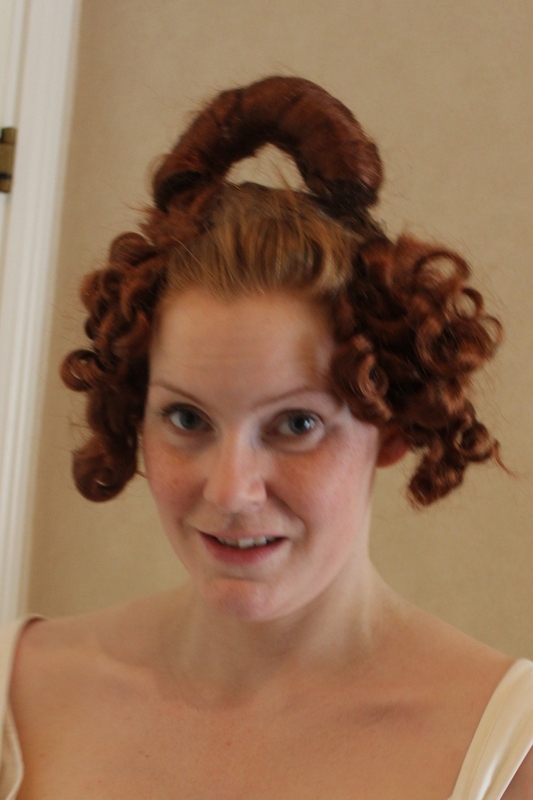 The finished hair do at the photoshoot.